Rogue Angel: Solomon's Jar is the second book in the Rogue Angel series, which is written by a team of authors known as Alex Archer under the Harlequin label. 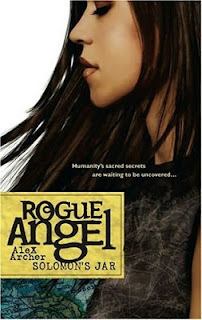 At the time of this writing, there are 43 books in the Rogue Angel series - quite the fruitful reading journey if you enjoy series! In Rogue Angel: Solomon's Jar, Annja Creed (who is Joan of Arc's descendant, or successor) is on a mission to track down the real Solomon's Jar, of which rumors had said it was last spotted somewhere in the Middle East. Since Annja is on a mission of God (or for the good of mankind, as Annja often says), she hopes to claim the artifact to prevent it from falling into the hands of a person interested in using the jar to summon demons for personal gain. 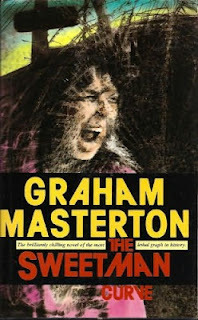 The Sweetman Curve is one of Graham Masterton's earliest novels - a thriller about a deadly scientific graph that a corrupt politician uses to his advantage. 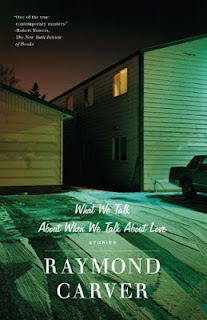 I chose to read this book not only because I'm a die-hard Masterton fan, but also because it contains the word "sweet" in its title, which meets the criteria for the February keyword reading challenge here at Bookmark to Blog. In The Sweetman Curve, a sniper kills random people in their cars as they drive on California freeways. 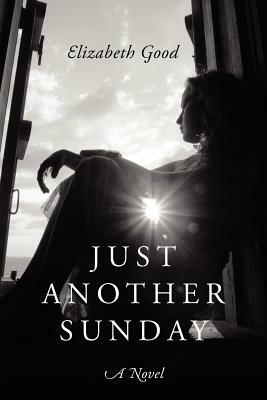 As John Cullen drives his father home from the airport, a sniper kills John's father right before his eyes. Unwilling to believe that his father was a random target, John becomes obsessed with finding a reason for his father's death - a "purpose" that compensates for the murder. When the same sniper tails John on the freeway once more in an attempt to kill him, John's suspicion about the murders not being random is confirmed. 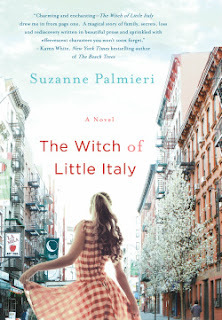 The Witch of Little Italy is the first novel by author and essayist Suzanne Palmieri. Eleanor "Elly" Amore is pregnant with the baby of her evil and abusive boyfriend. Desperate for support and a fresh start after her theater-actress mother leaves her to deal with her pregnancy alone, Elly decides to reunite with her estranged aunts (all of whom are rumored to practice witchcraft) at their Bronx family home. 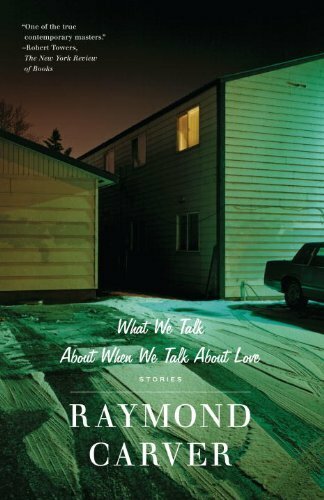 Although Elly knows in her heart that she loves her aunts, her memory is fuzzy about the time she's spent with them, and she cannot recall exactly why her relationship with them is estranged.